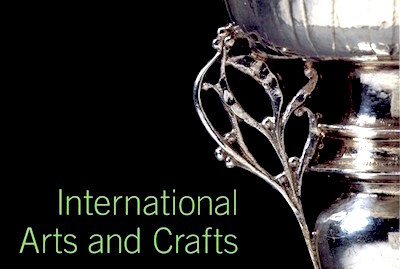 The Victoria & Albert Museum's International Arts & Crafts exhibition was held in London in 2005 and transferred to Indianapolis and San Francisco in 2006. It was the first Arts & Crafts exhibition to include artefacts not only from Britain (where this "first truly modern artistic movement" was founded), Europe, and America, but also Russia and even Japan (the Mingei movement). The exhibition catalogue, edited by Karen Livingstone and Linda Parry, includes multiple chapters on British, American, and Japanese Arts & Crafts, and essays on several other countries: Germany, the Netherlands, Russia, Finland, Sweden, and Norway. The final chapter is by Edmund de Waal, author of The Pot Book. There is also an extensive bibliography. The V&A has also organised other international decorative arts exhibitions, including Baroque 1620-1800, Art Nouveau 1890-1914, and Art Deco 1910-1939.